You must toss the ball upward at least 16cm or 6 inches. Your toss must be “near vertically upward”, not heavily sideways or backward. It’s common to see players throwing the ball backward (away from the table) to help generate more underspin, but try to avoid this practice. Your toss should be mainly vertical, with very little horizontal movement in any direction. It’s somewhat problematic that the rule is vague as it doesn’t give a definition of how straight your toss must be. Can you toss it at a 45° angle? Is that vertical enough? Referees will use their own discretion, but try not to dance on the fine line. My own tosses are generally about 15° from the vertical. 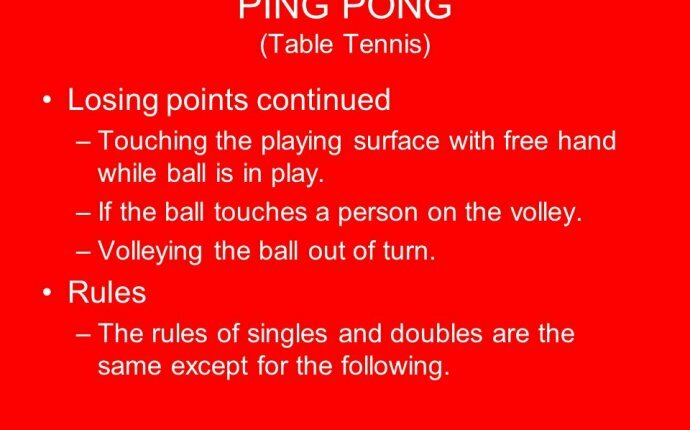 You cannot hide the ball with your body or arm during serve.rules, you could leave your free arm in front to obscure the view of the receiver so they can’t see what serve you’re doing, but that has changed. Now you must remove your free arm (and body) so that the receiver has full view of the ball throughout the entire serve process.